Welcome to the AFP Topeka Chapter job posting center! This service is designed to share pertinent career information with our audience of development professionals in the Greater Topeka area. 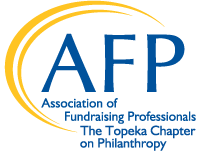 We feature all career position announcements for a minimum of 60 days on our AFP Topeka Chapter website and the job postings are distributed via e-mail to current AFP Topeka members - nearly 50 fundraising professionals in the Greater Topeka area. Please send your position description, with application instructions in pdf format or a direct link to your own online job posting to afptopekachapter@gmail.com with "Job Posting" in the subject line. You will receive a confirmation and invoice via e-mail once your position has been posted. The Philanthropy Officer has leadership responsibility to encourage and develop a culture of philanthropy throughout the organization and within communities. The position is responsible for identification, cultivation, development, and stewardship of donors and prospective donors in their assigned KCSL Region. The Philanthropy Officer must be enthusiastic and take responsibility for creating awareness of KCSL community programs, securing funding for program priorities and initiatives, recruiting volunteers for program operations and the Community Leadership and Development Council, and managing major fund raising events to meet the assigned regional and organizational budgetary goals. connecting every aspect of the community – from companies to volunteers – to Avenue of Life. You’ll contribute to our culture of innovation by sharing our commitment to the Collective Impact model of community change. Salary range is $57,000 - $63,000 annually.